Worry, fear, insecurity, anxiety – all of these can be part of our experience as creative people – along with the emotional, spiritual and – hopefully – financial rewards. Of course, people who are not artists or actively creative worry and have these kinds of challenges also, but the high sensitivity and intensity of creative people tends to make these moods more prominent. It can help enhance creative thinking and expression to understand and deal with these feelings. 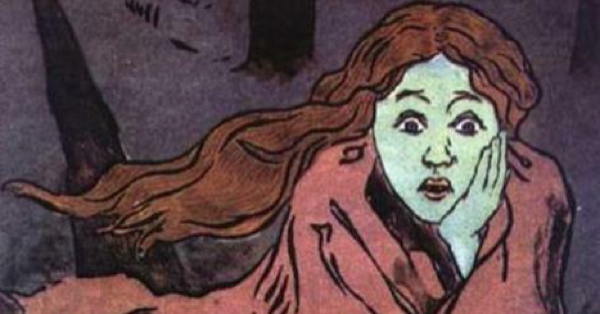 “Increasingly psychologists are recognising the strengths of anxious people. For example, there’s research showing that people more prone to anxiety are quicker to detect threats and better at lie detection. Quotes and image from post: Is being a worrier a sign of intelligence? Being highly sensitive and creative probably increases our vulnerability to anxiety. Psychologists Eric Maisel and Elaine Aron, among others, affirm this. I’m sure that has been the case for me, and I have had varying degrees of anxiety for most of my life. Getting older (and eating more healthy foods etc) has definitely helped, and now I am usually more calm and at ease than not. Part of my motivation in researching and creating my series of sites is to better understand a variety of social and psychological issues that affect talent development and creativity – including the issue of mood challenges like anxiety: how it affects us, and what we can do about it. One form of anxiety is so-called writer’s block. 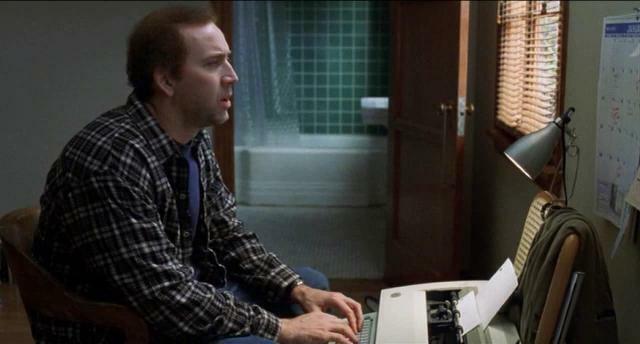 This photo is Nicolas Cage as screenwriter Charlie Kaufman in the movie “Adaptation” (by the real screenwriter Charlie Kaufman). It’s a great film about the kinds of insecurities, anxieties and distractions that can so often affect us as creative people. Therapist and creativity coach Eric Maisel, PhD notes there are many different kinds of anxiety around creative expression, with different symptoms including confusion and a “weakness of mind and body” and persistent worry. But, he says, “one of the most common anxiety reactions is a phobic reaction… many cases of creative blockage — perhaps most — are phobic reactions to the creative encounter. From my post: Eric Maisel on anxiety and developing creativity. Fearless Creating: A Step-By-Step Guide to Starting and Completing Your Work of Art. “So you’ve decided to get an early start, wake before the rest of the world begins their day and be productive. … You sit down in front of the computer facing the stark emptiness of your blank screen. She points out, “If this sounds like a familiar scenario, well, you are not alone. Many of us have experienced this form of procrastination. Where we give into the rationalization that once these convenient distractions are completed and put to rest, we can create. From my article: Procrastinating and Distracting Ourselves. Photo of Lisa Riley from her guest article: Highly Sensitive Personality and Creativity. Does anxiety affect creative people more? Former anxiety sufferer and anxiety program developer Charles Linden writes that his research “shows us that anxiety sufferers all share a superior level of creative intellect. From article Creative intellect as a marker for genetic predisposition to high anxiety conditions, by Charles Linden. In her book The Highly Sensitive Child, Dr. Aron notes that some sensitive adolescents may drink and use drugs to try to overcome anxiety or depression through self-medication. From my article Sensitive to anxiety. From her Psychology Today article Coping with Anxiety as an HSP. “Depression, anxiety, mood elevating drugs, suicide, road rage, escalating senseless violence and crime, these are symptoms of an ever-increasing breakdown in our energy fields due to the vibration of fear. We don’t even notice it because it is the norm. From article The increasing impact of fear on your life may surprise you if you are a Highly Sensitive Person, by AnnaMariah “Carolyn” Nau & Virginia Brown, BioElectric Shield Company. 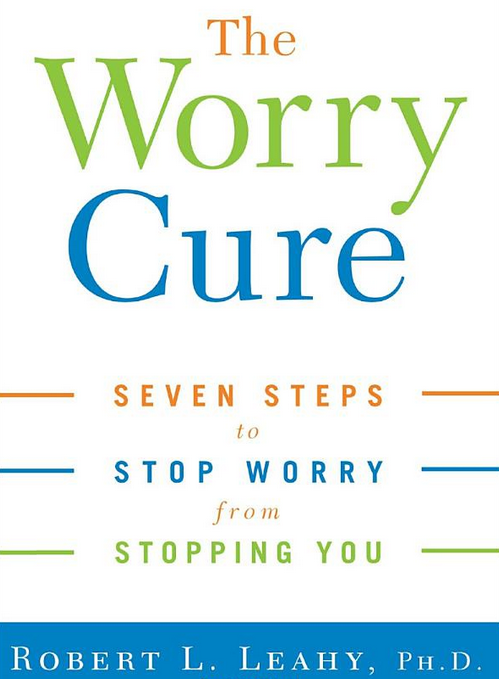 First, determine whether your worries will help you find practical solutions to a dilemma. If “yes, my worries can be constructive,” write a to-do list with explicit steps to help solve the problem. If the answer is “no, my worries are not helping me,” use some of the techniques below to help deal with unproductive worries. Write down your unproductive worries throughout the day and set aside a chunk of time, say 6 to 6:30 p.m., dedicated specifically to thinking about them. By 6, “you may find you’re not interested in those worries anymore,” Leahy says. Worriers have a hard time accepting they can never have complete control in their lives. Leahy says that quietly repeating a worry for 20 minutes (“I may never fall asleep” or “I could lose my job”) reduces its power. “Most people get bored by their worries and don’t even make it to 20 minutes,” he notes. See the other tips in the article Why We Worry by Victoria Stern – which also includes excerpts from The Worry Domains Questionnaire, a self-test on how much you worry, and about what. There are many kinds of discomfort related to anxiety – some mild, some requiring change, even intervention or therapy, or at least greater self-care. In her article Discovering the Gifted Ex-Child, Stephanie S. Tolan writes about one highly talented person with a common form of anxiety: stage fright. She writes: “Barbra Streisand, whose abilities are not only obvious and far from norms but also wide-ranging, is criticized for perfectionism, for demanding too much from those she works with. Many of the personal, inner aspects of creative talent can challenge us in ways that demand facing fears and limitations and moving beyond our comfort zones. And many forms of creative expression may require at times a high degree of courage. In an HBO documentary about making movies, actor Charlize Theron commented about courage when she noted, “There is no formula that works. There is no guarantee. “But as far as making choices on material, I just kind of think, well, it has nothing to do with me, so why not just go for it? “That’s why, when people say, Why don’t you make safer choices, I say What is a safe choice? There really isn’t a safe choice in this industry. “You never have a guarantee whether it’s going to work or not. And it takes a lot of courage to do that. From my book Developing Multiple Talents: The personal side of creative expression. Rather than offer a “quick fix” or “sound bite” suggestion for dealing with anxiety – not that there is such a thing – I suggest you browse posts on anxiety and stress, and look through the collection of Articles on relieving anxiety on my Anxiety Relief Solutions site. 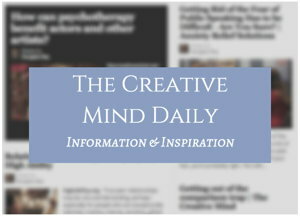 Do you have any experience with managing anxiety, and thus helping your creative expression?